Having missed Stockton-on-Tees’ original Woolworths when I first visited the town nearly a year ago, I’ve been keen to go back and capture a photograph of it for the ever-growing collection. 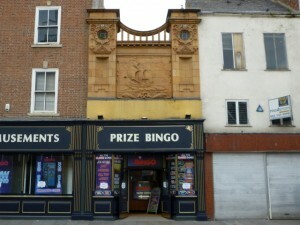 I was finally able to pay a visit a few weeks ago – the same day that I went to Billingham – and felt fairly embarrassed to have missed it the first time, given that it conforms to all the usual architectural conventions of a purpose-built 1920s Woolies. 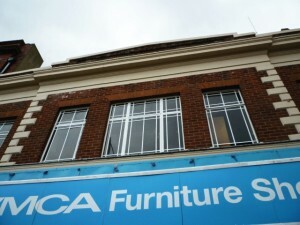 The invaluable 100thBirthday.co.uk reveals that the store, in Stockton’s High Street, opened on 1 September 1928, before being extended in 1933 and modernised in 1966. Less than six years later, however (on 14 April 1972), the store moved to the new Castlegate shopping centre, where it remained until the closure of the entire Woolworths business in 2008/09. 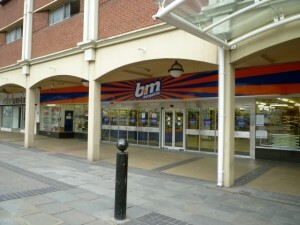 Though still vacant when I stopped by in September, the premises were taken over by B&M Bargains just a few weeks later. 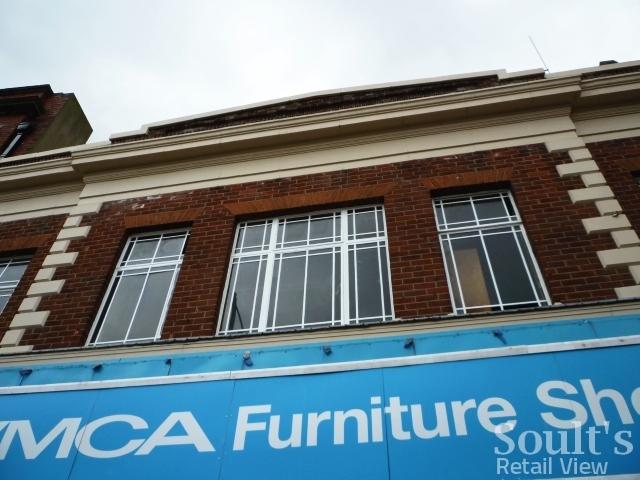 Because it was a straight relocation, the Castlegate store retained the same store number (#336) as the old High Street shop. A review of the Woolworths stores opened either side of Stockton’s – #335 in Elgin, established on 4 August 1928, and #337 in Tipperary, opened in September 1928 – provides a snapshot of the pace and extent of Woolies’ expansion at that time, taking in the Republic of Ireland as well as the UK. An image on the 100thBirthday.co.uk website shows the original Stockton Woolworths in its 1950s heyday, and there’s a closer up photograph, from 1958, at PictureStockton. Interestingly, both old photos show the slightly strange way in which the Woolies shop frontage nibbles a foot or two into the building on the left. I wonder if this was part of the 1933 expansion, perhaps taking over a space that had previously been an alleyway between the two buildings? 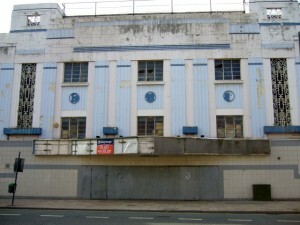 “The store closed in the early 90s and sadly the impressive Wellington Street building was demolished to make way for the bland Wellington Square shopping development.” The Co-op building that Gareth refers to is, I believe, the impressive edifice shown in these photographs, again at PictureStockton, dating from the late 1990s. 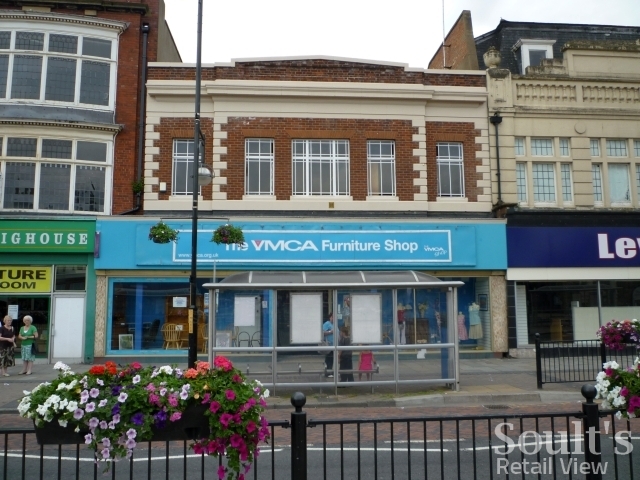 The fact that the old Woolies property today houses a YMCA furniture shop is perhaps indicative of Stockton High Street’s changing fortunes. 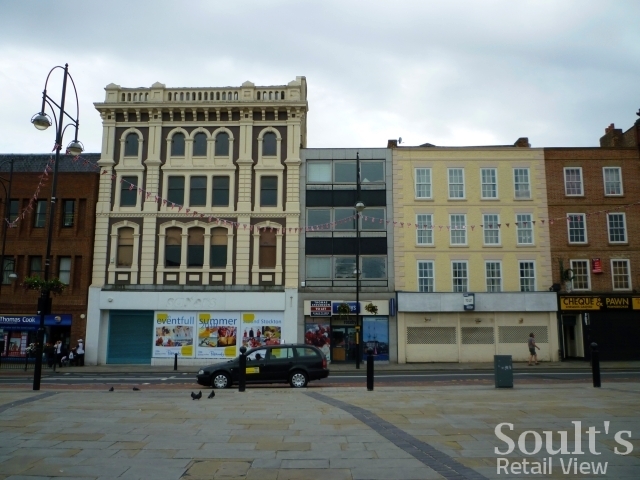 When I walked along the length of the street, I noted a higher proportion of vacant units than I’d seen in most other town or city centres, though many of these are the product of chains that have disappeared completely – not just from Stockton. Hence, as well as the empty Leveys (chain collapsed) next to the original Woolies, examples that I spotted included the ubiquitous empty Ethel Austin (chain collapsed), and three prominent shops in a row that used to house Savers (#35-37; store relocated), Rosebys (#38; chain collapsed) and Radio Rentals (#39; chain closed. 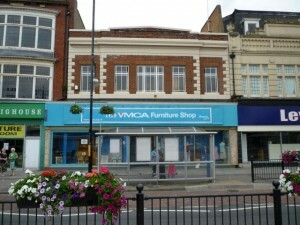 Site later occupied by YMCA shop). 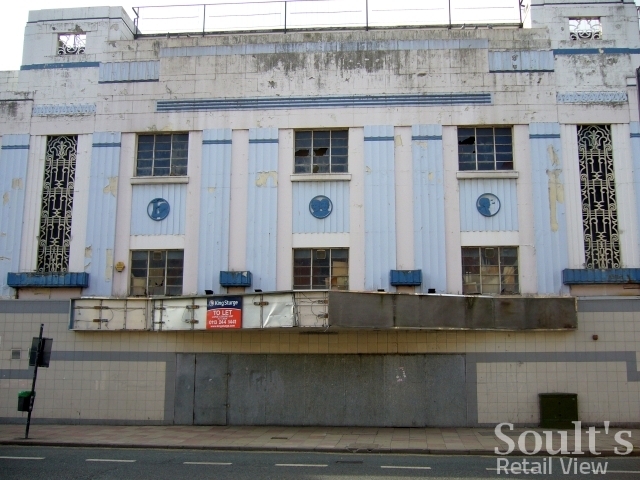 Even among those properties that are occupied, some could do with a spruce up. 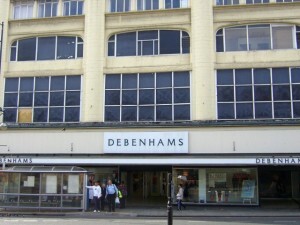 Though its modern Wellington Square entrance is fine, I’m always particularly disappointed by the High Street frontage of Stockton’s Debenhams. 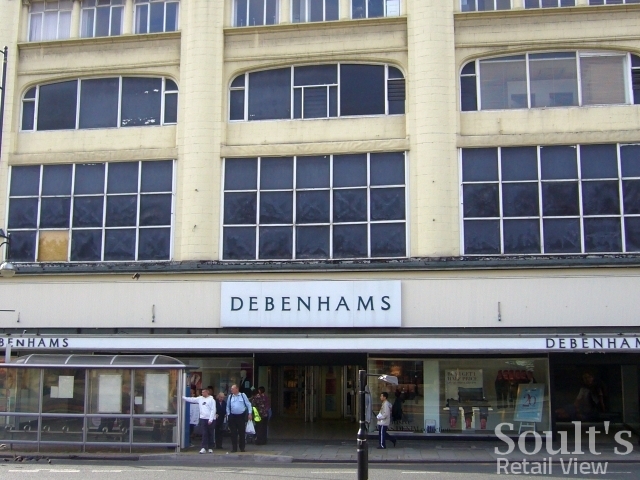 With its tatty upper floors and blacked out windows, it’s a world away from the glamour and sheen of the new Debenhams in Newcastle. Instead, it looks more like a store that is waiting to be closed down. Debenhams is undoubtedly not helped by the poor condition of the striking and iconic Globe Theatre building (photographed on my previous visit), just two doors away. 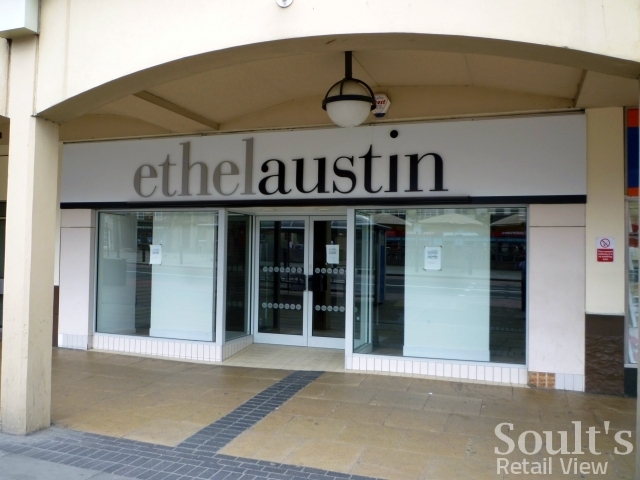 Currently, the empty and derelict property presents a very negative first impression to anyone entering the High Street from its northern end. 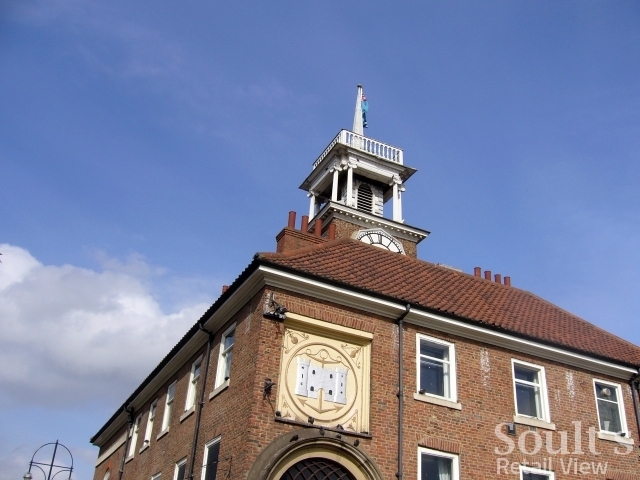 Hopefully, however, recently approved redevelopment plans will see this lovely building brought back to life, so that it can once again become an asset to the town centre. Despite these concerns, my overall impression of Stockton High Street remains a positive one. Though the centerpiece is undoubtedly the attractive Town Hall, built in the 1700s, the street also retains an unusually large number of impressive and imposing commercial buildings, even if many of them – the original Woolies and Savers premises included – are disfigured by unsympathetic shopfronts and signage. On the other hand, the town’s Marks & Spencer store has an appealing shopfront and, crucially, signage featuring the chain’s current logo. 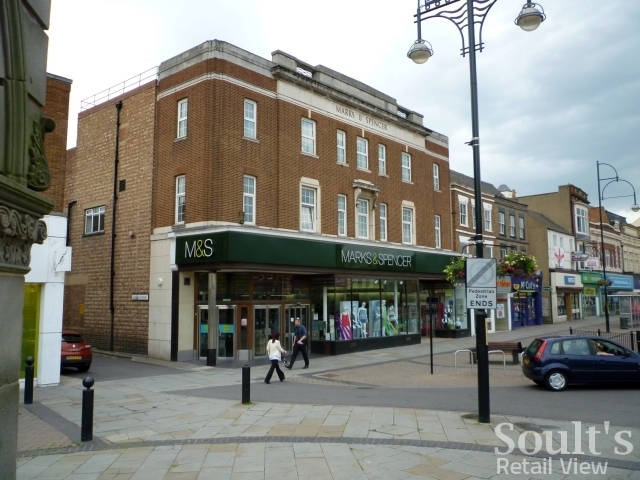 This suggests that M&S’s presence in Stockton is secure, unlike those three unmodernised M&S stores in Lincolnshire, plus another in Nuneaton, that are currently under threat of closure. My favourite building, however, has to be the astonishing little property that currently houses part of Nobles Amusements (and was previously Shoefayre), with a pictorial terracotta façade that was apparently originally built for Altham’s grocers in 1908. In my view, Stockton town centre’s greatest asset is the combination of these attractive and imposing properties with a street that is undoubtedly one of the most impressive public spaces in any British town. 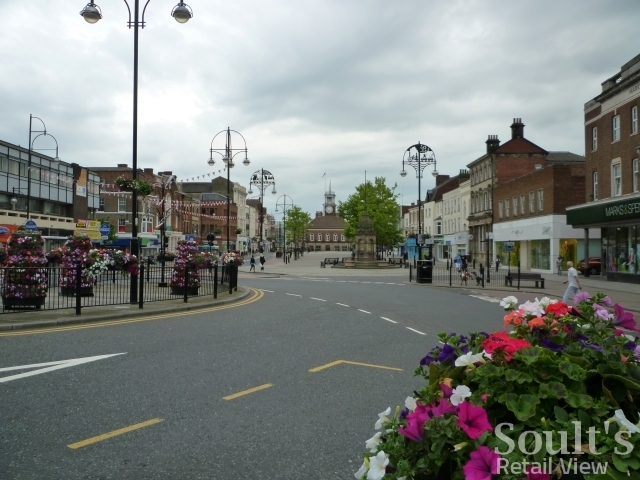 Stockton Council claims that it’s the widest high street in the UK, and the sheer scale of the space certainly creates a wow factor when you step off the bus. While undoubedly important in providing modern retail space, a flaw of both the Castlegate and Wellington Square shopping centre developments is that they have, to some extent, turned their backs on Stockton High Street and sucked activity away from it. 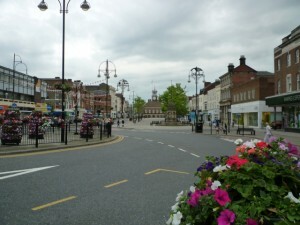 In this context, the Council appears to be doing the right things in celebrating its High Street’s unique character, investing in the Shambles Market Hall, and promoting the street as a backdrop for major events. 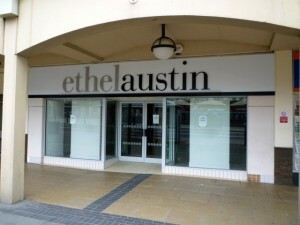 However, securing investment in the properties themselves – whether through new shopfronts or simply better maintenance of their frontages – will be a key factor in bringing empty units back into use, and in enhancing the High Street’s appeal, to both shoppers and potential tenants, as a unique and attractive retail destination. 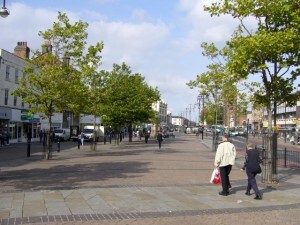 As awful as this might sound, I feel Stockton high street has gone downhill, ever since 2002. It was much more convenient, when the Post Office was already where it used to be. Why should anyone have to walk through WHSmith, to get to the post office? The post office should be it’s own thing. 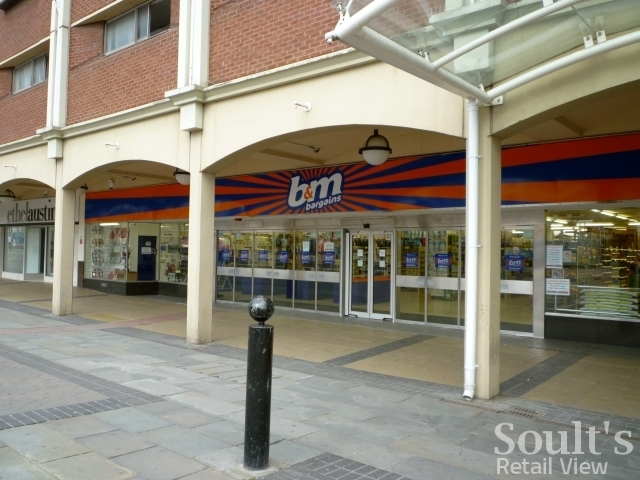 Just as it was, until Stockton Council decided to move it into WHSmith, which really doesn’t make much sense. I’m not to keen on Wellington Square. Too many crowds. Too narrow. My opinion of Castlegate Shopping Centre, isn’t exactly positive either. Sorry to say, but I’d rather shop elsewhere. Anywhere else in Teeside. Too many takeaways, charity shops, and coffee shops. It might as well be the pits of hell. I agree although it’s a bit strong to say ‘pits of hell’. If you don’t like it, vote with our feet and don’t go! I went yesterday (March 2017) and there was a BIG notice saying thanks for voting the High Street to be the best in England. I DIDN’T vote – and I don’t know anyone who did! It’s terrible. Cosmetically yes, it’s acceptable – but not for convenience. Confusing for buses, dangerous for crossing – some bus stops in the CENTRE of the High Street Oh and yes, what a waste of money for that rectangular thing near New Look which has displays which rise up. I mean seriously what’s the POINT! I’d like to see more supermarkets (now that Lidl has gone) We don’t ALL have cars! Oh and repairs to the Globe actually FINISHED! those are some pretty nice pictures of stockon well done! Further to the above comments about temporary lets, it looks like alworths has that sort of arrangement at their Amersham branch. There is a bit of a similarity between old Woolworths premises and disused railways. In some cases, it is obvious years or decades afetr the closure, in other cases, if you look carefully you can spot it, in other cases you would never know. At the time that Woolworths failed, property commentators predicted that 500 shops could stand empty for years. Latest reports are that 300 are empty and that 150 of those might never see retail use again. I suspect that if you factor in landlords letting stores on terms that are adverse from their own point of view just to avoid paying the rates, and temporary lets to tenants they would once have turned their noses up at, the 500 figure is possibly not that far off the mark. At the time of demerger, it was said that almost all of the roughly 200 freeholds that Woolworths still owned were sold and leased back on excessive rents in order to release capital on property that was posssibly otherwise unsellable. Perhaps those 200 mentioned above loosely correspond to sites now considered wothless in retail terms. It would be an interesting exercise, if possible, to calculate what Woolworths financial position would have been at the end of 2008, had they been demerged owning those shops and without the debt that they started off with.